Jared was born and raised in the small town of Mulvane, KS. He started playing golf at a young age and has played at all levels. After being a 4 year letterman in High School, he attended Southwestern College where he and his team reached NAIA Nationals 3 times. Jared played professionally for 4 years on mini tours and PGA/web.com tour qualifiers. Jared started giving lessons and helping with junior clinics while still in college. Teaching players of all levels is a true joy for him as well as seeing his students not only improve on their ability and get better, but also develop a passion for the game! 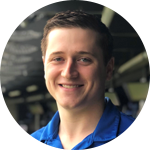 Jason Huska joined Topgolf Overland Park in September 2015 and became Lead Instructor in August 2016. Jason is a PGA apprentice and lifelong student of the game. 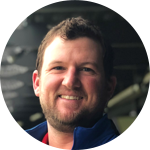 With collegiate experience in competitive golf, coaching, and instruction, he has a great understanding of what it takes to develop golfers of all skill levels. He has always had a love for golf and is excited to be able to extend this passion to his students. Jason’s goal is to create a fun and engaging atmosphere while developing each student’s individual golfing ability.